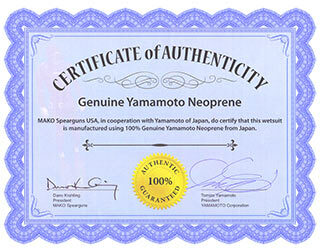 3D Ocean Blue Camo Diving Gloves made of Yamamoto Neoprene? 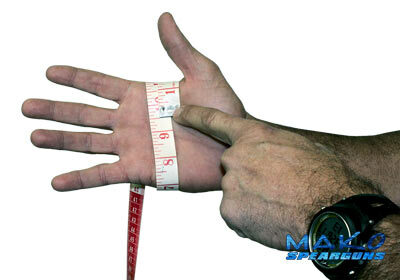 That’s right…MAKO Spearguns gloves are made of “Yamamoto Neoprene”. Our 3D Ocean Blue Diving Gloves are designed exclusively for spearfishing combining unmatched durability with incredible sensitivity needed for optimum trigger control. All finger tips and palms are re-enforced using high tech AMARA synthetic leather to protect against cuts from sharp objects. Made of high quality 2.0mm neoprene with an outer 3D camouflage lining for durability and comfort with the added bonus of a Velcro strap for a custom snug fit and tight seal, these gloves are the number one choice among serious spearos. Because we sell direct, we are able to offer our Yamamoto Wetsuits and Yamamoto 3D Gloves for less than non Yamamoto products. I used the measurements suggested on the product page and these couldn't fit better. I'm always in between sizes and usually dread ordering online but Mako is now 3 for 3! Also, the material and quality is top notch, as usual! Por que me llegan los paquetes rÃ¡pidos y tienen disponible todo lo que un buzo profesional necesita. Me gustarÃ­a que dejaran en descuento el traje de buzo de camuflaje que es reversible por lo menos hasta julio 30. Love the XL feel and very durable. Got these for my girlfriend to spearfish in. She absolutely loves them. Great quality and no problems with the dexterity feeling.